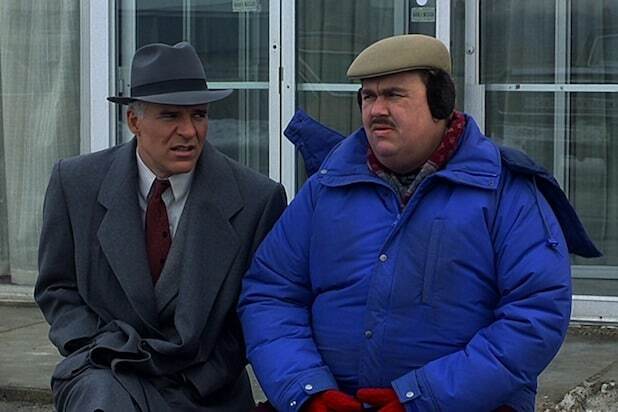 “Del Griffith. American Light and Fixture, shower curtain ring division.” --Del Griffith As played by the late John Candy, a Canadian in real life who had a gift for portraying wholesome and friendly Midwesterners with a surprising dark side, Del Griffith is the peak of frustratingly amiable movie figures. He’s inviting and somehow gets by easy, despite having a job you thought could never exist (see above quote). But “PT&A” is a film about how even the nicest of folks can test your patience. “About a million bucks shy of being a millionaire!” --Del Griffith Del has an arsenal of inane, folksy axioms like being "a twig on the shoulders of a mighty stream," or a hypothetical about wolverines as good house pets. It culminates in Neal tearing into him for his anecdotes that go nowhere. "They're not even amusing ACCIDENTALLY!" “Want to take a shower?” --Del Griffith The problem with nice people who lend a hand is that when they use up all the clean towels, leave their underwear around the bathroom and explode beer all over a vibrating bed, you can’t criticize them for being a slob or you’ll look like a meanie. “Those aren’t pillows!” --Neal Page Steve Martin brilliantly plays a tight wad cynic. He relaxes a bit when he throws back shots with Del, but clinches back up in the side-splitting moment when they cuddle up together after an awkward night of Del clearing out his sinuses. 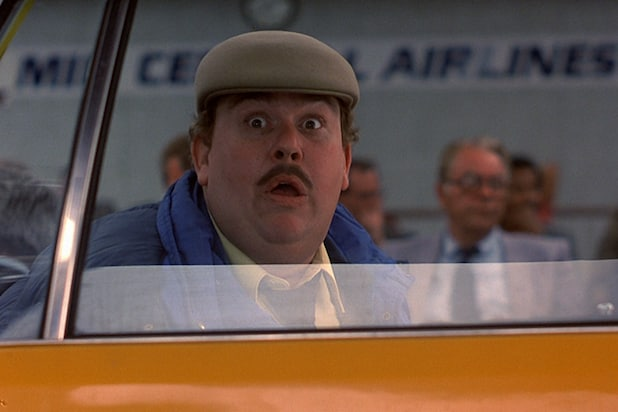 “I really don’t care for the way you're speaking to me.” --Rental Car Agent One of the most famous scenes in "Planes, Trains and Automobiles" is funny because the Steve Martin's Neal Page suddenly unloads all his frustration in the most profane fashion. While travel misfortunes affect both Neal and Del, Del manages to do everything with ease and proves he’s a savvy salesman capable of pawning off shower curtain hooks as vintage European earrings. “Oh, he’s drunk. 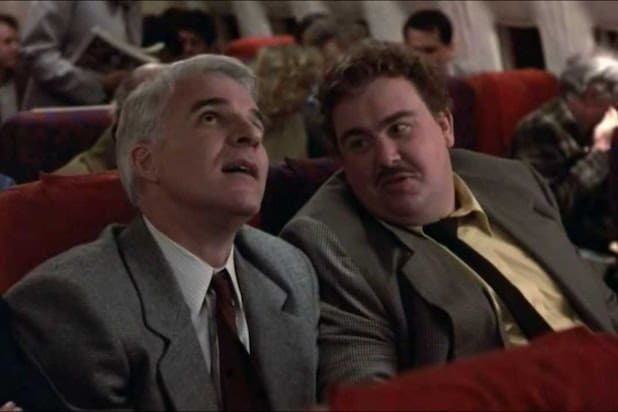 How would he know where we’re going?” --Del Griffith (referencing a disgruntled driver) Not all the frustrations of travel as depicted in “Planes, Trains and Automobiles” have held up 30 years later, but a bad carpool buddy is timeless. Del fiddles constantly with the reclining seat, he veers across the road while performing a priceless air piano solo listening to “Mess Around,” and he insists on trying to get his jacket off despite how it puts their lives in danger. “That’s how Houdini died you know?” --Del Griffith Neal is forced to deal with plenty of idiots on his journey home, but Del is the most annoying because he’s always trying to do the right thing, and Neal ends up feeling like the jerk for calling him out. That's because only Del could find a justification for incinerating their rental car and Neal’s wallet in the process. “Cause I’m the real article. What you see is what you get.” --Del Griffith Few modern movie characters have the unwavering optimism and pluck of Del. Even in the worst of situations, he has the charm, spirit and humanity that often gets overlooked in the flyover states. As Neal calls him, he’s a unique individual. “Unique… what’s that, Latin for a--hole?” Del asks.